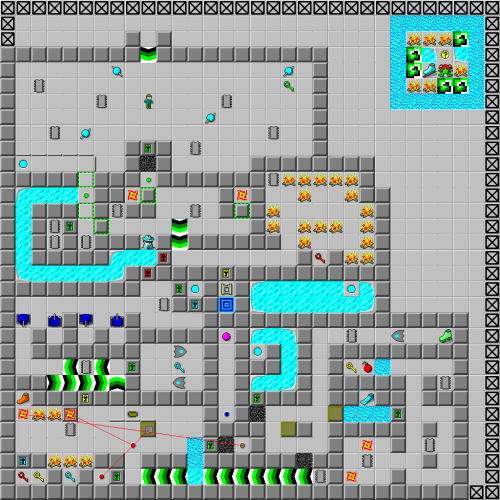 Courtyard - The Chip's Challenge Wiki - The Chip's Challenge Database that anyone can edit! Psst! Try HIUR for a password. 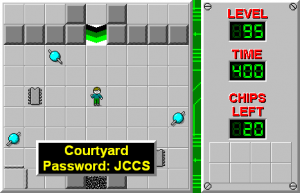 Courtyard is the 95th level in Chip's Challenge Level Pack 1. It was created by Tom Patten. Courtyard's secret area contains the password for level 145 of CCLP1.